I’m recalibrating my craft in 2017. I’ll be trying some new things, taking some new professional risks and playing in some new green fields. One of the things I’ve decided is that I only want to work with clients who fuel my energy, take my methodology and make big things happen with it and are fully invested in elevating our world in the process. Those moments in Nelson Mandela’s prison cell on Robben Island a few months ago really did rewire me, at some core level. And I’ve never been so full of fire to inspire ‎as many people as I can. Who knows how long I’ll be blessed to live. I need to heighten my service and unchain my impact now. And so I need you with me in this movement. Please. And I need you to make a pact with yourself that you’ll exert the bravery to make yourself ‎as focused, healthy, creative, productive, energetic, loving and wise as you possibly can–as quickly as you can, as we start 2017. …then you absolutely need to watch the final video in my free Make 2017 Your Greatest Year Yet training series. 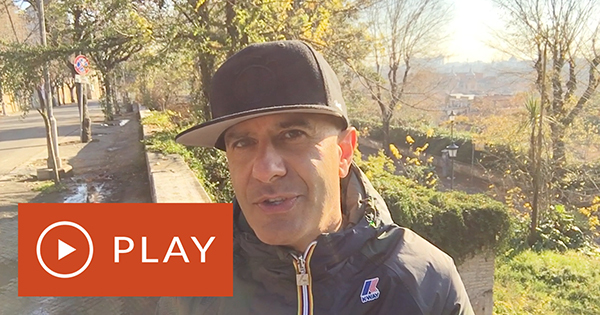 This last video brings everything I’ve shared with you this month about maximum productivity, elite performance and leading a rare-air life together. –the value of seeking rejection en route to living an exceptional life. It’s a really valuable video that will really help you start 2017 super-strong. So you get the fire to set you into achieving the early wins that will ensure the next months are the finest months of your life yet. …for weeks, people have been asking when I’ll be opening doors to my famous online course Your Absolute Best Year Yet, the life-changing program that has allowed me to coach many thousands of people just like you on the advanced success formulas I’ve shared with ‎the billionaires, CEOs + Titans I’ve advised. As usual, we only have a limited number of memberships and doors‎ will close soon. As usual, memberships are very limited so if you wait, you might be too late.